Here at Absolute Tan sunbeds our aim is to bring you the very latest and very best in lie down and stand up sunbeds for hire or rental. All our sunbeds are up to date latest models. Our lie down sunbeds all come fitted with high intense bulbs and a cocooned styled oval shaped body to ensure a sleek all over tan. Our stand up sunbeds are also fitted with powerful high speed bulbs and offer the combination of close proximity tanning and a super efficient cooling system ensuring outstanding and consistent results. At absolute tan we also offer a tan enhancing skin care range for all skin types ensuring your sunbed experenice has a lasting effect. 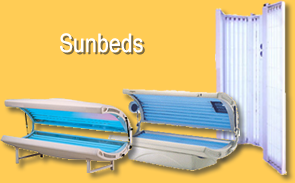 Sunbed hire is the most convenient way of achieving the perfect tan in privacy and comfort of your own home. So just click on our sunbeds page, choose the sunbed you would like, contact the office and a member of staff will have it delivered straight to your door. Sunbeds are a great way to prepare for an upcoming holiday in the sun, for a wedding or special occasion, or if you just want to give your skin that sun kissed look. 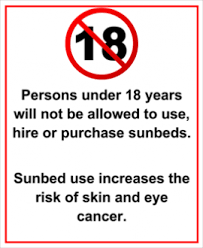 So why not enjoy the benefits of home tanning on the most modern home hire sunbeds available, here at Absolute Tan.